Little ones as young as 2 years old and adults in their 70s regularly attend the various equine programs at Vinceremos. 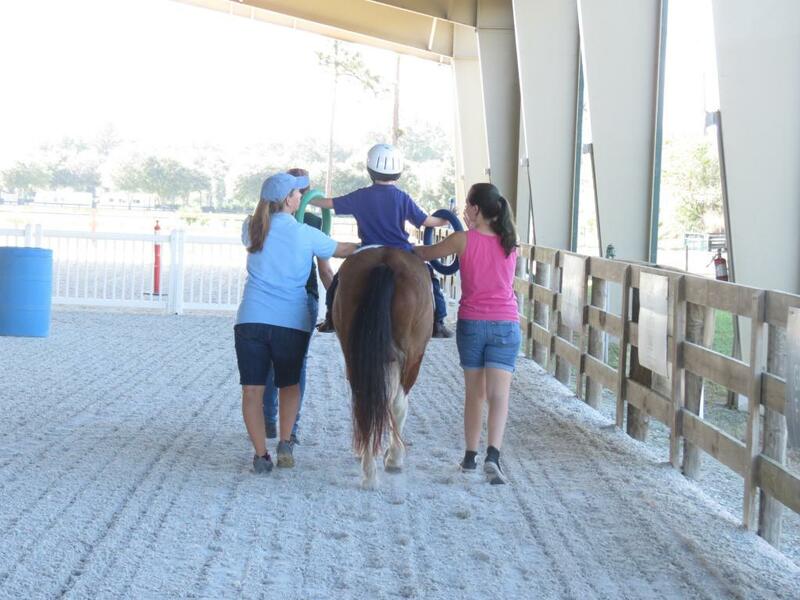 They may participate in therapeutic riding or driving or hippotherapy. Do you know someone who has a disability and would benefit from the exercise and camaraderie that is available at Vinceremos? Please come and visit the center, talk to other participants and join in the fun. A diagnosis doesn't mean that you can't continue to enjoy the outdoors, independence or learning a new skill. The gentle movement of the horse can make a difference in your life. Those interested in joining us at Vinceremos must fill-out a rider form, available for download here. Please join us!